This is a fun cozy, full of unique and interesting characters, humor, and just enough magic. I love me some quirky characters, magical escapades, and good mysteries. Good thing Magick & Mayhem has all of that and more! I am so excited to share this new series with you. It combines so many wonderful, magical things I love to read about. It is a true cozy in every sense. * I love how the magic is understated and simplistic, that intent and belief play such a large role. 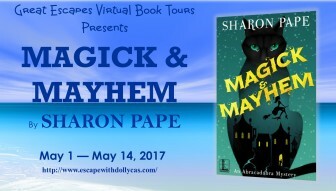 Sharon Pape provides an entertaining mystery with plenty of fun. MAGICK AND MAYHEM is a solid start to a new mystery series. Almost before I was half way through the novel did I expect to give it a five-star rating. Having finished, I’d definitely give it 10 stars and can’t wait to get my hands on the second instalment in the Abracadabra Mystery Series by Sharon Pape. A must-read at all costs. 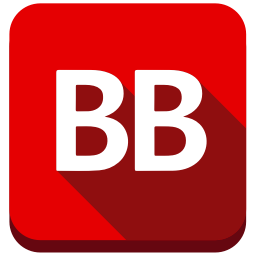 There is a lot of misdirection and red herrings to keep the story hopping and interesting. A series I plan to keep my eye on. This is going to be an amazing series if the first book is any indication. I fell in love with the characters, as well as Kailyn’s shop, Abracadabra. Cozy mystery fans need to check out this new series. Get in on the beginning. You’ll be turning the pages quickly, as eager to find out who the villain is as you will be to find out what mayhem happens on the next page. I felt this was a unique approach to the genre and one that I thoroughly enjoyed. 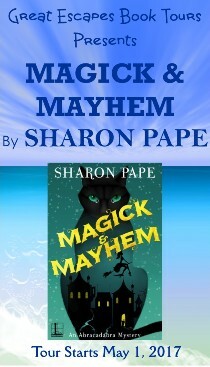 Magick and Mayhem is a cute, delightful cozy with just the right blend of mystery and romance. 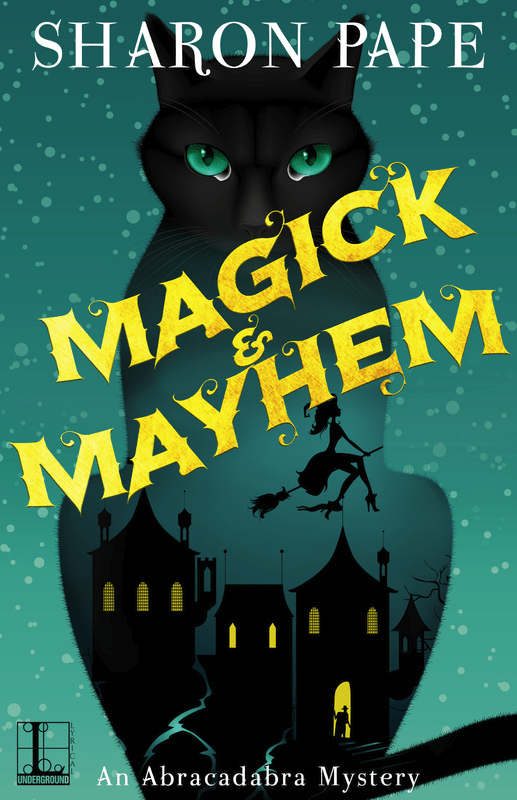 Magick & Mayhem is a delightfully fun mystery that has quirky characters and a well-written storyline that is sure to please readers. What’s in a murderer’s bag of tricks? Twenty-something Kailyn Wilde has learned to embrace her unpredictable life as a descendant of small-town New Camel’s most magickal family. She just didn’t expect to inherit her mother and grandmother’s centuries-old shop, Abracadabra, so suddenly. The surprises keep coming when Kailyn goes to finalize the estate at the local attorney’s office—and stumbles over the body of her best friend Elise’s husband . . .
As a brash detective casts the blame on Elise, Kailyn summons her deepest powers to find answers and start an investigation of her own. What with running a business, perfecting ancient spells, and keeping up with an uninvited guest of fabled origins, Kailyn has her hands full. But with the help of her uncanny black cat Sashkatu and her muumuu-clad Aunt Tilly, she’s closing in on a killer—who will do anything to make sure she never tests her supernatural skills again! I started writing stories as soon as I learned how to put letters together to form words. From that day forward, writing has been a part of my life whether it was my first attempt at a novel in seventh grade or the little plays I wrote for my friends to perform for neighbors and family. After college, when I was busy teaching French and Spanish to high school students, I was also writing poetry — some of it in French. Looking back, I realize how fortunate I was that the cancer was discovered at such an early stage, but at the time it was all very overwhelming. Once I was back on my feet, I wanted to help other women who were newly diagnosed, worried and afraid. 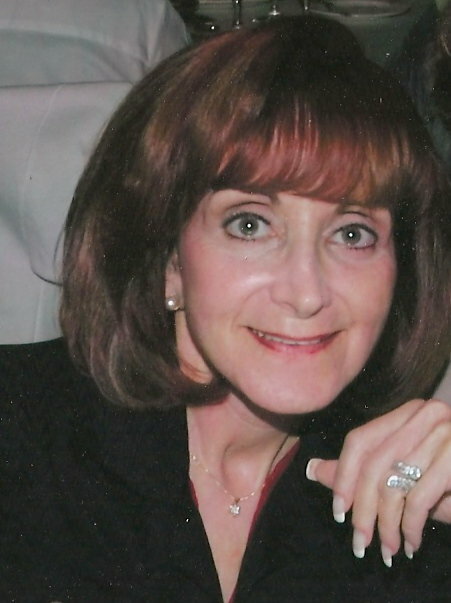 I became a Reach to Recovery volunteer for the American Cancer Society and went on to run the program for Nassau and Suffolk Counties on Long Island. 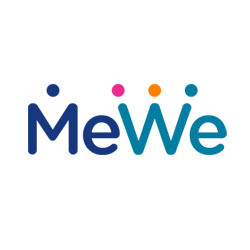 A number of years later, with the help of my surgical oncologist and two other volunteers, I started Lean On Me, a nonprofit organization that provides peer support and information to breast cancer patients. When Lean On Me celebrated its tenth anniversary it no longer required as much of my time, and I once again found myself free to pursue my first love — writing.